At Brayden Automation we strive to have a positive influence on both our local and global communities. By focusing on the enhancement of our youth and community we hope to help build a better future. BAC and its employees are involved in several volunteer programs including the organizations listed below. In February of 2011 BAC was presented with an opportunity to go beyond our local community and support a program that allows us to not only help youth and reduce poverty, but utilize our skills as a company to increase energy efficiency. The Hands & Feet Project (H&F) works to provide and care for orphans and abandoned children in Jacmel, Haiti. Started by the band Audio Adrenaline in 2004, they now care for over 80 children ranging in age from newborns to teenagers. They are currently working towards adding additional housing to support an even larger number of children, and hope to care for over 1,000 children in the next five years. Due to unstable electric supply from the local utility, H&F frequently relies on battery power to keep the orphanages running. BAC donated two 9388B Energy Sentry units and all the equipment necessary for two of the H&F orphanages to assist in stabilizing electric use for the buildings. Efficiently managing H&F’s electric loads is crucial to ensure the batteries are kept at maximum capacity to compensate for the volatile power supply and keep the buildings in operation. If you would like to know more about the H&F Project and how you can help Click Here. BAC’s President and founder, Bill Brayden, has been a member of the Foothills Rotary Club of Fort Collins since 1984. As stated by the Rotary Foundation “The mission of the Rotary Foundation is to enable Rotarians to advance world understanding, goodwill, and peace through the improvement of health, the support of education, and the alleviation of poverty.” Members are expected to volunteer and fund raise for both local and international programs. 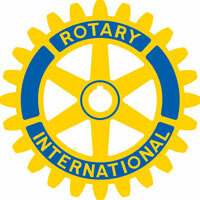 In 2002 Rotary International launched a year campaign to raise money for the Global Polio Eradication Initiative. In that year a total of $135 million was raised by Rotary International, and as a result of that effort polio was eliminated in all countries except 4 (Afghanistan, India, Nigeria, and Pakistan.) As of 2009, Rotary’s overall contribution to the eradication effort totaled nearly $800 million. In January of 2011, over $10,000 was raised by the four Fort Collins Rotary Clubs at the annual Purple Pins for Polio bowling fundraiser. Our very own Bill Brayden was Team Captain of the “Blue Tornados” who threw down the gauntlet and raised the largest amount out of the four clubs. If you would like to know more about the End Polio Now campaign and what you can do Click Here. The Boy Scouts of American has remained a passion of BAC President Bill Brayden ever since he himself was in the program. As stated in the Scouting mission “The Boy Scouts of America provides a program for young people that builds character, trains them in the responsibilities of participating citizenship, and develops personal fitness.” Bill is an Eagle Scout and served as an Assistant Scout Master, a Den Leader, and a Pack Committee Chairman over the years. Although he no longer acts as a position head, he continues to support the division program through the Annual Boy Scout Fundraising Breakfast. 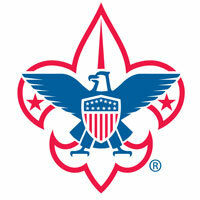 If you would like to know more about the Boy Scouts of America and how you can support their endeavors Click Here. offers us the privilege, opportunity, and responsibility to give something back by becoming more." Our goal is to provide you with superior products and creative solutions for all your demand control and pulse metering needs.